U.S. regulators have approved the first continuous blood sugar monitor for diabetics that doesn’t need backup finger prick tests. Current models require users to test a drop of blood twice daily to calibrate, or adjust, the monitor. The pain of finger sticks and the cost of testing supplies discourage many people from keeping close tabs on their blood sugar, which is needed to manage insulin use and adjust what they eat. Abbott’s new FreeStyle Libre Flash Glucose Monitoring System, approved Wednesday by the Food and Drug Administration, uses a small sensor attached to the upper arm. Patients wave a reader device over it to see the current blood sugar level and changes over the past eight hours. Most of the 30 million Americans with diabetes use standard glucose meters, which require multiple finger pricks each day and only show current sugar level. 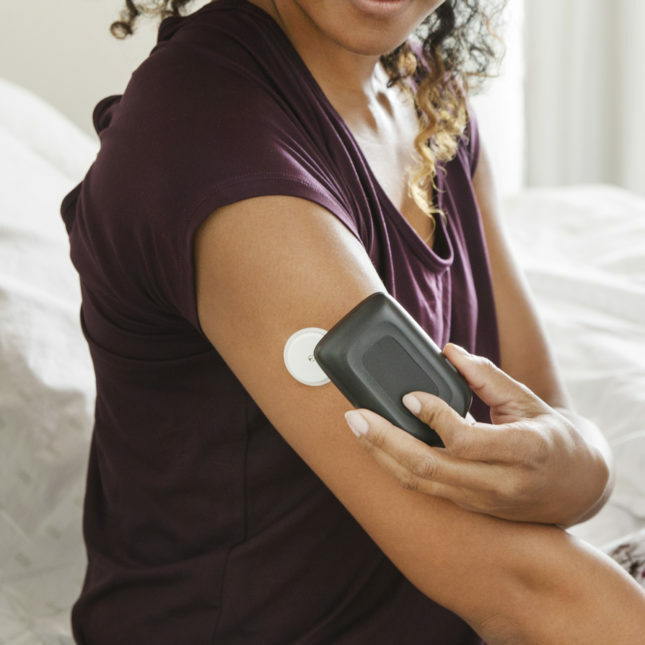 More-accurate continuous glucose monitoring devices are used by about 345,000 Americans. But most don’t do the finger pricks to calibrate them and may get inaccurate readings, said Dr. Timothy Bailey, who helped test FreeStyle Libre. “We’re able to lower blood sugar safely” with this technology, said Bailey, director of the Advanced Metabolic Care and Research Institute in California. He receives consulting fees from various diabetes device makers. Too-high blood sugar levels can damage organs and lead to heart attacks, strokes, blindness and amputations. Very low blood sugar can cause seizures, confusion and loss of consciousness. Abbott’s device was approved for adults with type 1 or type 2 diabetes and should be available in pharmacies within months. The company, based near Chicago, did not disclose the price of the reader or the sensors. Abbott’s system can’t be used with an insulin pump, a device worn against the skin that allows users to inject insulin as needed, but the company is planning improvements to eventually enable that. Rival Medtronic this spring launched a device in which the insulin pump automatically responds to blood sugar changes recorded by the sensor and either withholds or injects insulin as needed. Where can i order this new device? How can I find out a price for this and where can I get it? Does medicaid pay for this? What is the cost and where can I buy the no needle monitor? How much and where to buy is it covered by BCNC or Medacare?